Texas drivers education is all web-based, all you need is a computer with an internet to access it. 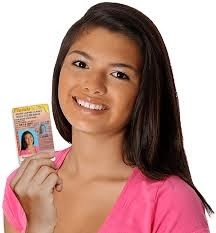 This online course has everything you need to get ready for drivers license. This online Parent-Taught Driver Education Course has been approved by the Texas Department of Public Safety (DPS). Completing this course will satisfy the required 32 hours of training and 14 hours of behind-the-wheel. After the first 6 hours of instruction, the student must apply for a Texas Instruction Permit from the Texas DPS provided the student is at least 15 years of age. Taking a Texas drivers license prep course may not be your idea of an exciting time, but it is your first step towards becoming a licensed driver. The state of Texas requires that every new driver complete a certain amount of driver training before being eligible for a learner's permit. You have two choices: you can either take this Texas drivers education course sitting in a classroom with a bunch of strangers while some boring instructor drones on and on about driver safety or you can take it while you are lounging at home in your sweatpants. The choice seems obvious; who would want to spend any more time in a classroom then you already do with school? You will be studying defensive driving, signs and signals, accident avoidance, drug and alcohol-related issues, and more. There is a quiz to pass at the end of each unit. Taking a Texas drivers license prep course in a classroom can be very boring and it takes up a lot of your time because you have to stick to a very rigid schedule. With this Texas drivers education course you will never get bored because there is always something to stimulate you. Although some of this Texas drivers license prep course is reading there are also some really cool multimedia features like entertaining graphics, animations, videos and audio clips. These things will keep you from getting bored and ensure that you have a great time while you satisfy all of your requirements. Since this Texas drivers education course is all web-based, all you need is a computer with an internet connection to access it. This gives you much more freedom than a classroom course because you can come and go as you please; too bad you can't do that in school. When you register online you choose a username and password that will be unique to your account, so you can log in from any computer and still are able to access your course. The last requirement of the Texas Driver Education program is an online 50-question multiple-choice final exam that is based on the material in the course. You will need to score 80% or higher on the exam in order to pass and complete the course. If you do not pass on the first try, you will be able to review the course units and attempt the exam without penalty. After you have passed the final exam, our office will print your Certificate of Completion and have it in the mail within one business day. You will need to present this certificate in order to apply for a learner’s permit. This online course has everything you need to get ready for your Texas drivers license, and it's fun. Log on today and see why everyone has been taking this course and getting their licenses as quickly as possible. how long does it take me to get my drivers permit with online classes in texas?